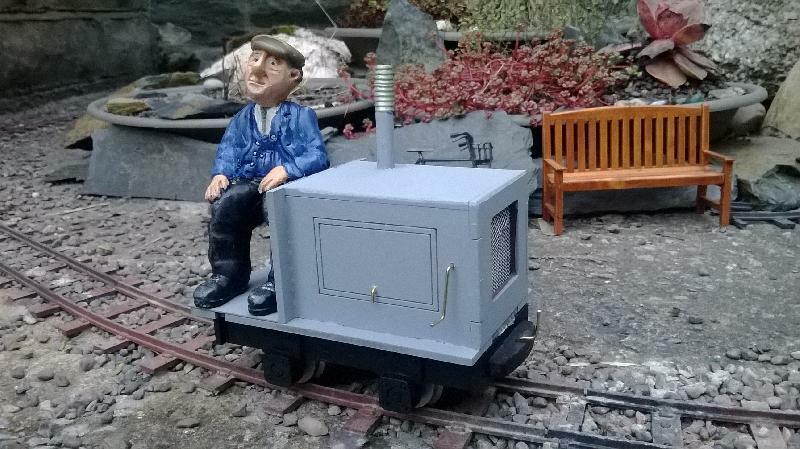 I remember a thread which had a link to a garden railway manufacturer who produced a low cost 32mm and 45mm gauge loco and chassis, battery powered. I have tried the search facility but can't find it. Can anyone help please? I seem to remember they only did a few , lazer cut wood kits for a few locos and rolling stock. Think it might have been part of a discussion on 7/8th in scale . There were some pdfs pf building instructions to download. I thought I might have downloaded them, but can't find them , yet. Last edited by ian_g_griffiths on Tue Sep 23, 2014 8:55 pm, edited 1 time in total. Houston Gate Locomotive Works? - http://www.hglw.co.uk/ - 4w drive 32 or 45mm chassis is £19.75 and is laser cut MDF. They also do a couple of body kits and 32/45mm wagons, also is MDF. Thanks for the links! Seems that Cambrian accepts paypal too. I need some worm and worm wheel sets for making drive units and am having a real problem finding some. Shipping is a killer sometimes. Edited to add: I got a reply from them already. I'll be getting a quote on motors, gears and bearings. I'll post their reply when I get it. Last edited by Nevadablue on Wed Sep 24, 2014 1:25 am, edited 1 time in total. Houston Gates, that's it. Odd I could not find them listed on garden railway sites. rue_d_etropal wrote: Houston Gates, that's it. Odd I could not find them listed on garden railway sites. I think though that they are fairly new? I think it was a while back(one year) that they were first mentioned here. I would expect to see them listed on 16mm model railway society website. Ignore that last statement, they are sandwiched between IP Engineering and Handcrafted Pottery Buildings, difficult to spot as no picture against their entry, and they don't mention the kits they produce. Nice and simple and go together real easy too. Reminds me to finish my one ! I was looking for a cheap chassis for my 3D printed Simplex. Definitely a possibility. Might fit both 1/19 and 1/24 versions of protected Simplex, possibly a 20hp version as well. Nevadablue wrote: Thanks for the links! Seems that Cambrian accepts paypal too. I need some worm and worm wheel sets for making drive units and am having a real problem finding some. Shipping is a killer sometimes. I got a reply from Barry at Cambrian, good news. 12 sets of gears, some bearings and 3 motors would be 5 pounds postage to me in the US. Not bad at all! Interesting post, didn't realize much like that was out there. Cool. And, man, I gotta get working in the G scale again! Both the n15 and the 45mm gauges. Re the busted bricks chassis, sure i've posted it before but in case you are interested here's what I did with mine. 14mm to the ft scale on 32mm rail. 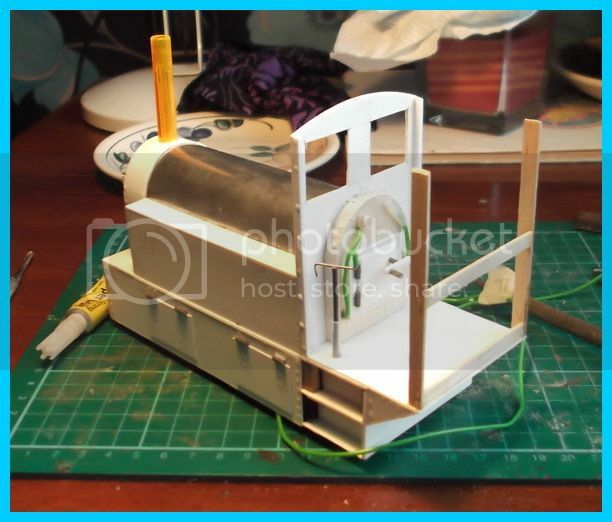 Couldn't be bothered to make two coach bogies so decided to do this rail bus thingy! Paint hasn't come out like I wanted so needs a repaint, oh, and a roof. Next time around I'd go for the 4wd option - the 2wd is OK for the rail bus but add a couple of extra wagons and it does tend to spin a bit....of course, if you are going for indoor use then this is less of a problem. 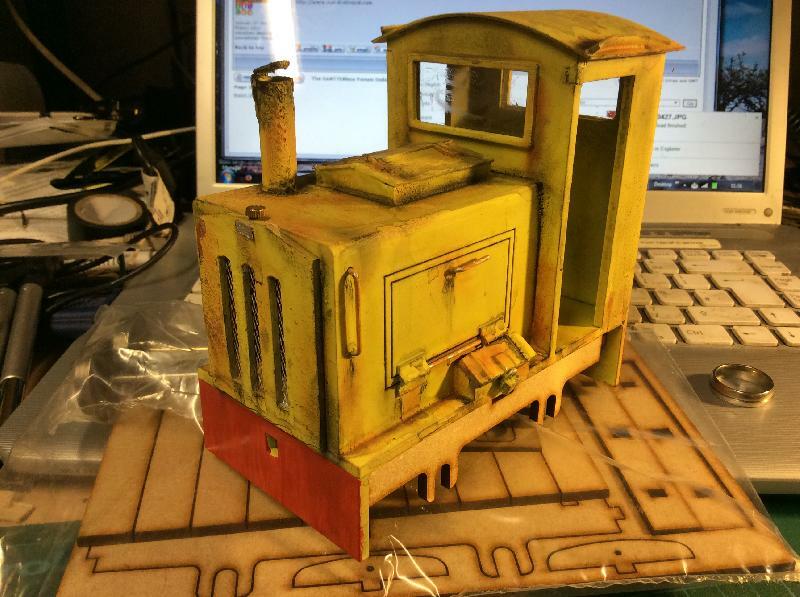 Here's my 7/8ths version of the Houston Gate Loco Works kit. I am only interested in the chassis, no hurry. I had hoped they might have been at this weekends exhibition in Yorkshire, but they are not on list. Another trader I wanted to talk to about some kits is not there , so I am not going to the exhibition. No hurry, don't need anything till next year at the earliest. I got my motors and gears from Cambrian today. Very nice stuff. Thanks again for the link.